If you would like to share your Jillery stories and photos (or just tell us how much you love our products! ), email us at customerservice@jillery.com. Love your stuff. Just placed a big order mummy25!!!!! You have given me a reprieve. I so needed to close up ear openings (young son will do it) and just did not want to and now I don't have to. Can't tell you how surprised and delighted I was to see the UPS delivery guy at my door with the small box from Jillery this morning! I know I placed the order with you after 4pm yesterday. Amazing! I was especially pleased because one pair of earrings I ordered was a replacement for the earrings I wear all the time, one of which had gone missing, and I was missing it. And the second pair I ordered I wore today--they are lovely! Such interesting and beautiful design and workmanship. Congratulations! To say nothing of the extraordinary service! I've been meaning to email for quite sometime. I love wearing my Jillery jewelry. I have some pieces from many years ago, as well as some newer pieces. I'm always recieving compliments when I wear my Jillery. Aside from the great look, the jewelry is comfortable due to its light-weight and hypo-allergenic secondary to its natural low reactivity. It doesn't tarnish and it doesn't change color from swimming in chlorinated pools. Perfect vacation jewelry!! Thank you for your innovative work. discovered them in a gallery at the Tropicana in Atlantic City NJ. Your designs are great but the weight of the jewerly is what made me purchase them. I could never wear earrings that were long or heavy because of the weight. THANK YOU for being creative enough to make earrings out of a lightweight metal and for being environmentally friendly by using recycled metal. I look forward to purchasing another pair of earrings soon! Thanks again! Hi Jillery folks: For years I have avoided the larger, dramatic earrings that I love, since heavier earrings make my earlobes unhappy. However, I am delighted with my recycled aluminum earrings! Have had so many compliments on them, and looking forward to getting a pair in gold color also. Thanks so much for the prompt service and the wonderful product! I ordered the cake server to match a cake knife that was given to us to use for our upcoming wedding - and it is equally beautiful and fun!! Thanks again. I discovered your collection a couple of years ago when shopping at Zephyr Gallery and purchased the cheese knife for a friend. I fell in love with the designs. Well the other day, with a quick Google search, I was delighted to discover your website. 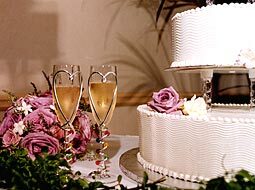 I recently purchased the cake server and carving / bread knife for myself and to be used at my upcoming wedding. I inquired as to how long it would take to receive it and to my amazement you had it to me in less than 24 hours; even without any "rush" shipping arrangements. Thank you so much! I look forward to adding to my new collection. Since my daughter was born 4 years ago I have been searching for a cute mezuzah for her room! FINALLY, a friend of mine introduced me to your web site and gave all three of my children your beautiful personalized mezuzot! Thank you for creating something so special! I can not tell you how much I love your stuff . I purchased your set of 6 utensils at a gallery store and absolutely love them ( also have gotten many comments from guest) . You can not beleive how happy I was to find your web site. I ordered napkin holder, salt and pepper set today. Thanks for such wonderful items. I am so glad I read about your website, and visited it. Your entire collection is fantastic and I am "kvelling" at all the Judaica, especially such items as the washing cup. What a cool idea. My friend Debbie has several of your designs in her home and every single time I am there for Shabbas, I comment on how pretty they make her table. Now at last I know where to get some for myself! I love your collection and have just added to my kitchen...I now own the banana hanger/fruit basket and today received the three tier serving platter. The colors and craftsmanship are wonderful! Thanks for making fun, funky and functional pieces! Just found your website and plan to be a frequent visitor to add to my new collection! Just wanted to say this product line is truely unique and beautiful, I just received the plate rack and 4 wine glasses for mother's day. I hope I can continue to add to this set, I love the multi-colors! I love this website!!! Now I get to see everything you have to offer. My collection started with candlesticks, then a serving tray with pyrex dish, now I have the FANTASTIC pizza cutter. It’s so pretty that I hate to use it (but I have and it works GREAT). I want one of almost everything, but will have to be patient and just get one at a time. GREAT WEB SITE!!! I just wanted to drop you an email and tell you how thrilled I am to have recieved three more items for my collection. My aunt started giving me your pieces a couple christmases ago and I look forward to getting new things each year. Everything looks wonderful in my kitchen. I look forward to more gifts. matching martini glasses! Josh from East Meadow, New York. to become more than we ever imagined! We wanted to share a photo from our wedding. We received a pair of Jillery champagne flutes for our engagement and loved them so much, we used them as our toasting glasses at our wedding. We plan on using them to celebrate every anniversary. Love the website! We recieved this amazing Jillery fruit basket for our wedding. We can't even tell you how much we are enjoying it. We use it everyday while picking fruit from our trees. 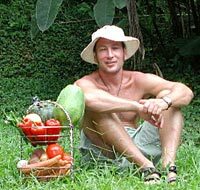 Here is a picture of Michael in the jungle after picking the fruit. Thanks for the colorful designs! I love your products and have a ton of your items on a registry at Von Maur here in Iowa. I can not wait until I get my new house and can decorate with your items. I LOVE THEM!!!!!!!!!!! I just wanted all of you there to know how much I love your work. I recently bought a mezuza to celebrate my new home. The pieces always make me think of the line "La'yehudim hayta ora v'simcha v'sason vikar"-the Jewish people had light and joy and gladness and dignity. Thank you for your help in restoring the light and joy to my shabbos.